FOXBOROUGH, MA—Upon seeing a brief, intimate clip of quarterback Tom Brady completing a gorgeous pass at the Patriots’ training camp, the nation drifted into intense visions of love Friday night. “I’ve never felt this way before about anything,” SportsCenter viewer Ron Barragan said Saturday morning, crying softly as he recounted his previous night’s visions to his family. “It was like the entire world was dancing with Tom to one joyful song. It was beautiful. 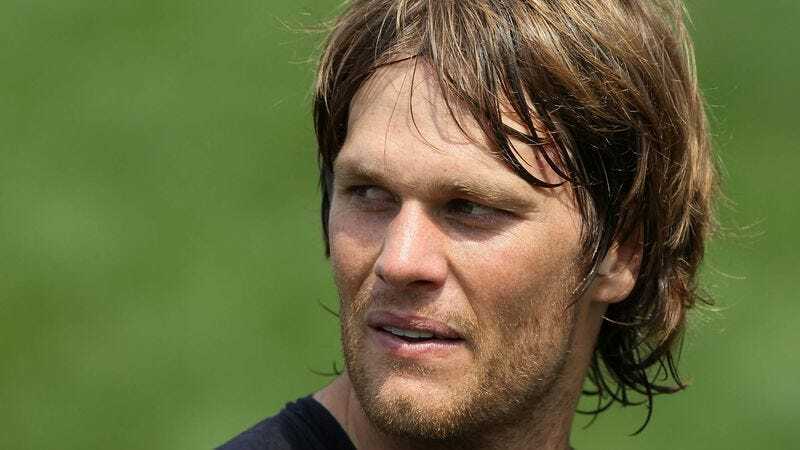 Everything is just beautiful.” When reached for comment, Brady flipped his hair, turned to America, and winked.